Social media has been integrated into each and every part of our internet experience. Whether you are viewing a video on YouTube or reading an article on BBC, you will see a section on the page that allows you to share content through social media services. 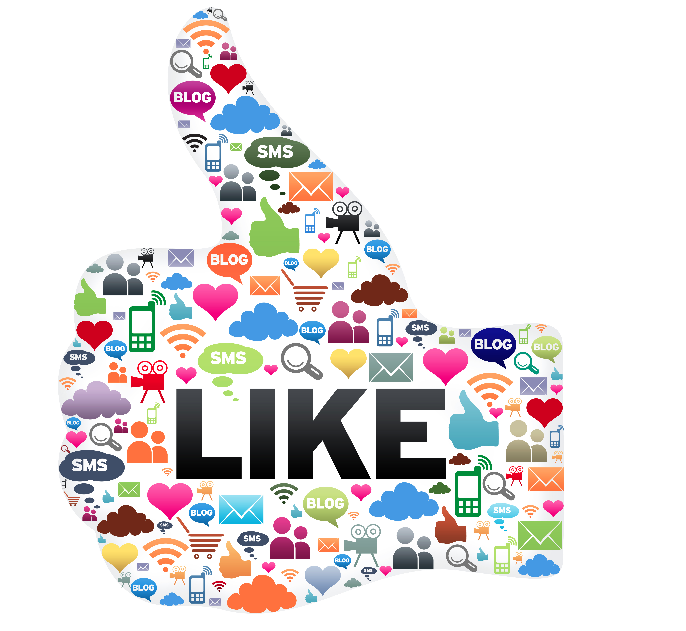 Social media is a crucial component for any online marketing strategy. The reason websites promote social media sharing is because so much traffic can be generated from it. If you’re running your small business website on the WordPress platform, it’s incredibly easy to integrate social. There are hundreds of ready made social media plugins for WordPress to choose from. Your choice of social media plugins for your WordPress website will depend on which social platforms you use actively, what kind of content you offer on your site, and the best look and placement of social tools that complements your website design. Below are some of the best WordPress plugins for social media. Digg Digg by Buffer gives all in one social sharing plugin for your blog. Nice display of all sharing buttons on your blog and gives it an amazing look. All popular social sharing buttons with count, such as Twitter, Buffer, Facebook Share, Facebook Like, Digg, LinkedIn, Google +1, Reddit, dZone, TweetMeme, Topsy, Yahoo Buzz, WebBlend, BlogEngage, Serpd, Pinterest, Pocket and Tumblr are displayed. Great customization options. Choose a floating bar or sharing buttons at the top or bottom of the post. WordPress Social Stream is a feature-rich and regularly updated social media plugin that lets you combine all your social network activities into a single feed or one single network stream. ShareThis is one of the popular social media plugins for WordPress that’s been downloaded more than 1.5 million times. Great customization andtons of features. Social buttons in the form of a Hovering Bar that can be displayed on the right or left side of your pages, with counters and your choice of small or large buttons. ShareThis has built-in social analytics, a CopyNShare widget that helps you track shares when your content is copied and pasted, and more. 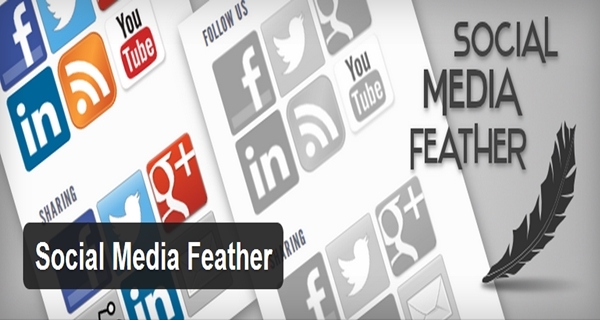 Social Media Feather is super lightweight, simple, and give effective social sharing and following buttons and icons on your site. The buttons have a clean and a modern look. You can customize the appearance of buttons with social icons skins. It is currently the only social sharing plugin that supports Retina and high-resolution displays used by mobile devices like the iPad 5. Shareaholic is an extremely useful and successful tool in getting your readers to actually discover and submit your articles to numerous social bookmarking sites. Increases engagement and time on site by highlighting relevant content that may not otherwise be discovered from across your site. Provides you with important actionable metrics including insights into how your content is performing, who’s sharing it, and through which channels. Offering support for more than 100 social sites in 19 languages, AddToAny Share Buttons is one of the most popular social media plugins for WordPress. It’s easy to customize and fully featured. it supports both shares and interactive clicks – including Facebook Likes, a Tweet button for Twitter, a “Pin It” button for Pinterest, a +1 button for Google+…. Bookmarking and email buttons integrate with the most popular email services (Gmail, Yahoo! Mail, Outlook / Hotmail, AOL, and nearly every Web-based or desktop email program). You can customize the appearance and position of the AddToAny share bar, and integrate with Google Analytics to make the most of your social marketing. Social Media Widget is an easy-to-use plugin that creates a sidebar widget for social sharing, with links that open a separate tab or window when clicked. Tons of icons come in 3 sizes, 4 icon styles, and 4 animations. Align your widget left, center, or right. Create your own image alt/title tags for hover-over text. Arrange the order of the icons however you like. This is quite some social media plugin since it doesn’t create social sharing buttons but instead loads your entire WordPress website inside your Facebook page. As opposed to leaving Facebook to visit your site, your visitors can browse, comment and share your WordPress site right from inside Facebook. Customize everything: Colors, Fonts, Backgrounds, Patterns, Buttons, Ribbons, even the Woof style itself! Simple and eye-catching, the Flare plugin not only gives you customizable share buttons, but also lets you create and display a Follow Me widget, so your visitors can one-click follow your social media channels right from your website. Compatible with many major social media platforms, including Facebook, Twitter, Pinterest, Google+ and more. You can place the share bar at the top or bottom of posts, or to the left and right of your pages. The left and right options scroll down the page with viewers, and auto-hide when not in use. AddThis Share Buttons help drive traffic to your site by helping visitors share, bookmark and email your content to over 330 services. Users can promote your content by sharing to over 330 of the most popular social networking and bookmarking sites (like Facebook, Twitter, Pinterest, Google+ and LinkedIn). Support address bar sharing in modern browsers. The plugin gives you plenty of layout choices. Free analytics to see how your visitors are sharing your content: which services they’re using for sharing, which content is shared the most, and more. Slick Social Sharing Buttons is a social media plugin for WordPress that’s easy to implement and comes with plenty of options. This plugin lets you customize button types. Lets you specify which pages and posts to display social sharing on. Choice between a floating or slide-out share bar. You can also customize location, direction, floating speed, animation speed and more. Slick Social Sharing Buttons supports shortcodes, and gives you a social analytics dashboard to help you track your sharing activity. Previous PostPrevious All Sites updated due finding of fresh WordPress Vulnerabilities.